Burger Bonanza with Event Round Up! What’s summer without burgers on the grill?! Today I had some folks over for a burger bonanza. 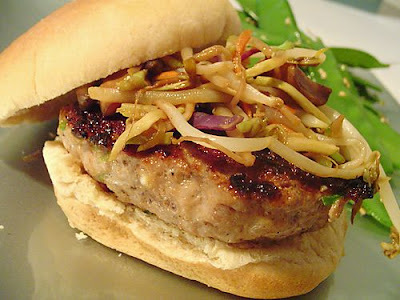 With a full burger ingredient bar at everyone’s disposal, we were able to make some amazing burgers. Add all these ingredients and blend them together and adjust the salt and seasonings. Add a little water if necessary while blending..The blended mixture should hold together to form patties.If it is too wet and do not hold together, add a little more flour..
Divide into equal sized balls and press them slightly to form patties of about quarter inch thick..
Refridgerate for about half an hour so that it becomes firm.. It can be cooked shallow frying, deep-frying or baking them.. If baked it should be brushed with oil..Otherwise it might dry off..They should be cooked until they turn golden brown in colour.. 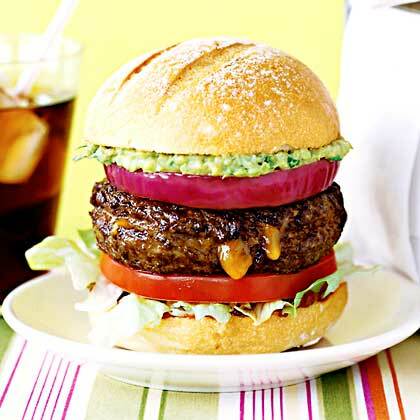 I baked them and topped the patties with tomato, onions, mustard sauce, jalapeno pickles and lettuce..Place these between burger buns and enjoy! submitted by Elly of Elly Says Opa! Mix all ingredients together (being careful not to overmix) and form into patties. Grill until done, about 6 minutes per side. For the slaw, I don’t have a real recipe. All I did was stir fry some veggies (shredded cabbage and carrots, bean sprouts, and mushrooms) and then stirred in a little soy sauce and fish sauce at the end). Combine all ingredients. Shape into hamburgers. Grill. Combine ingredients. Pat out burgers. Grill. The Satay Sauce – You could use ready made satay sauce, such as Lee Kum Keee’s Satay Sauce, dissolve a couple of tablespoons with a bit of hot water, mix in chopped corriander. Add finely chopped chilli if you like your satay sauce hotter. The Caramelized Onions – Half roughly chopped onions, a small clove of garlic (finely chopped), saute with a bit of olive oil, add 2 tbsp soy sauce, 4 tbsp Indonesian sweet soy sauce (or replace with brown sugar or palm sugar), a bit of hot water, cook until the onions are caramelised. The Buttery Buns – Butter your buns and heat them on a fry pan. 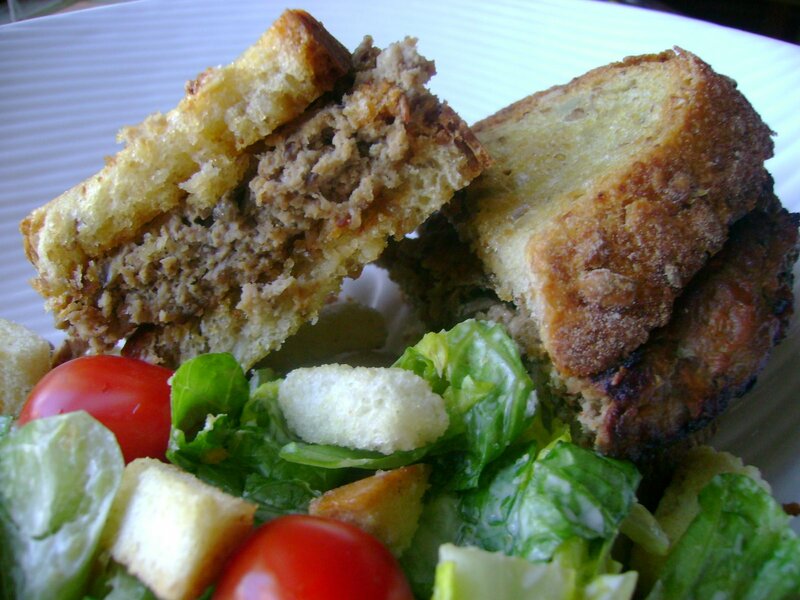 The Juicy Burger Patties – Minced beef, salt, pepper and chopped corriander. I browned and grill ’em until well done to get rid of any microscopic creepy crawlies. Add some satay sauce about one minute before you get them off the heat. Pour more satay sauce on top. That’s one juicy ‘n tasty patty. Start to build your layers. Add the caramelized onion and a bit of the sauce. Add sliced cucumber. Fresh or pickled (acar timun : Indonesian pickled cucumber, marinated in vinegar, sugar, shallot and chilli, refrigerated overnight). Add fresh corriander. Serve with oven grilled chips with some satay sauce and a glass of iced dry ginger ale. After sleeping in, almost through lunch, I didn’t have the energy (or desire) to do anything fancy in the kitchen – at least not yet! With my husband’s stomach growling as he watched his Sunday football, I decided to check out what foodstuff I had to work with. Toast your bread to your preference. In a bowl, combine above ingredients thoroughly without over handling. Heat up grill pan or grill. Add oil to lubricate grill pan/grill. Cook on grill pan/grill pan until juices run clear. 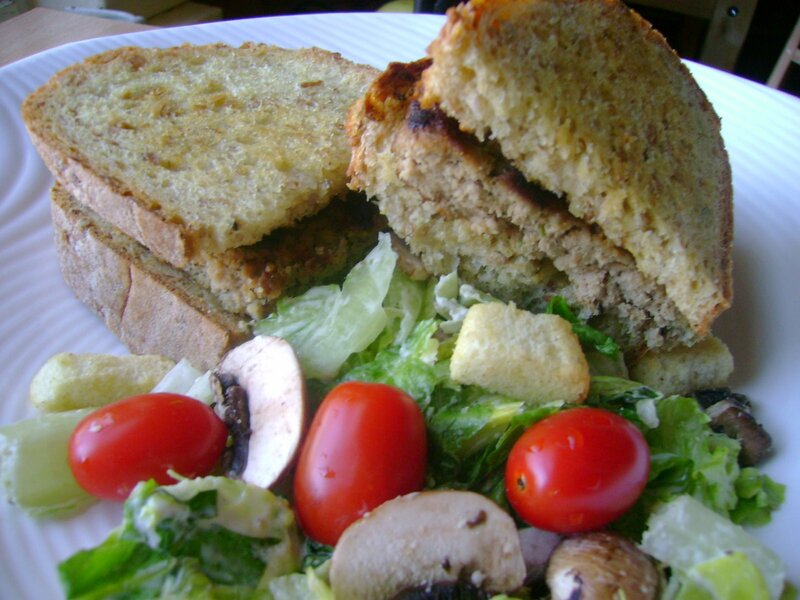 Place cooked turkey burgers between 2 slices of toasted bread. Add panini toppings if you’d like. Using a grill pan & press or panini press, cook until toppings are warmed through. After such a great day out with my Chicago Cooking/Baking Group gals, I wanted an easy and refreshing dinner that wasn’t too time consuming. So with that in mind, I made some cilantro turkey burgers. The leaves of a coriander plant are variously referred to as coriander leaves, cilantro, dhania, Chinese parsley or Mexican parsley. The leaves have a very different taste from the seeds, similar to parsley but “juicier” and with citrus-like overtones. Some people instead perceive an unpleasant “soapy” taste and/or a rank smell. This is believed to be a result of an enzyme that changes the way they taste cilantro, a genetic trait, but has yet to be fully researched. In a bowl, grate onion. This allows it to add moisture to the turkey and even cooking. To the grated onion, add turkey, cilantro & spices. Combine thoroughly without over handling.